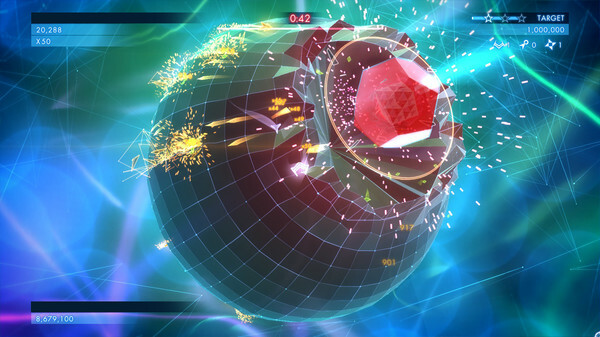 The classic Geometry Wars gameplay you know and love. Geometry Wars 3 has retained what was great about the previous games in the series, while Lucid Games have also tried to add a new twist to it. The Adventure mode is a nice addition to the series, even if the three dimensional landscapes do occasionally lead to unfair deaths. And if classic Geometry Wars gameplay is more your thing, you’re well covered here, with some classic modes and new things to try out, and the attempts to beat your friends will once again keep you coming back for more. The king of the twin stick shooters is back. But does it still have a claim to the throne? 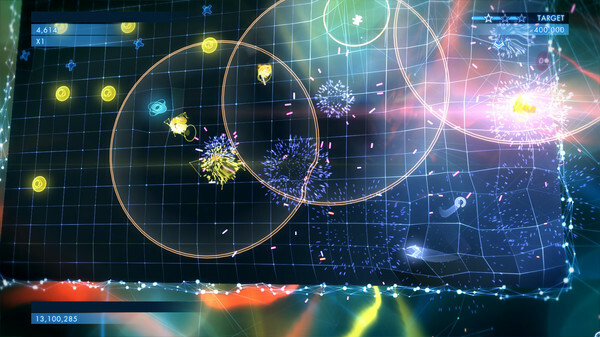 Geometry Wars 2 was a prime example of how games can be addictive and difficult without being frustrating, and taunted you into having just one more go to beat the next score on your friends list. With the sad demise of series creators Bizarre Creations, the series has now found itself in the care of Lucid Games, a studio which actually contains a number of ex-Bizarre staffers. What they have created here is a game that, while not the best game in the series, still keeps you coming back for more, in more ways than one. There are two single player modes this time around. The first is ‘Classic Mode’, which is straight up Geometry Wars gameplay. You pick the type of game you want to play, and have to get the highest score you can within the rules of the type of game you choose. As with the previous iteration, if you have friends who also play the game, the friends with the next highest score up from yours will be displayed on the screen, taunting you and getting you to play again. And it’s still fun to go after those scores, and to curse your friends when you just miss out on beating their score. The biggest new addition to the series is the ‘Adventure Mode’. This plays as before, but gets rid of the simple two dimensional retangular boards in favour of more three dimentional shapes, such as cubes, sausages and peanuts. What this means is you’ll no longer be able to hide in the corner and escape. You’ll have to pay attention to what you can’t see as well as what you can. 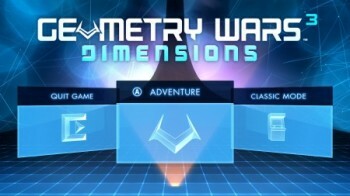 But considering that previous Geometry Wars games never showed you the whole grid anyway, this isn’t anything new, although running into an enemy as you turn a corner is irritating. 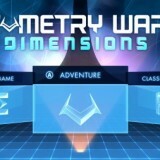 Each level has a set of rules within which you have to beat certain scores to unlock stars. You need these stars to unlock the periodic boss battles. There are some new gameplay features to help you on your way. There are drones to choose from which help you in different ways, such as giving you extra firepower, laying down mines or going around the level collecting geoms so you can concentrate on simply destroying things. These allow you to customise how you play. You can also activate a temporary weapon upgrade by destroying static shapes made out of pegs that appear occasionally. These give you things like multdirectional fire of a huge spray fire arc right in front of you, laying waste to anything in your line of sight. There’s some multiplayer modes in the game as well. There’s a two player local co-op mode which, like adventure mode, is a series of levels you have to complete. However, there are more enemies, and the multiplier resets if one of you dies. There’s also online competitive multiplayer, with two modes. ‘Stock’ involves two teams fighting to kill a boss, with the team that kills it winning the game. Then there’s ‘Summoner’, which involves shooting towers to summon enemies to kill, with the team with the highest score wins. Although due to a lack of people playing online, we didn’t get to test these modes.